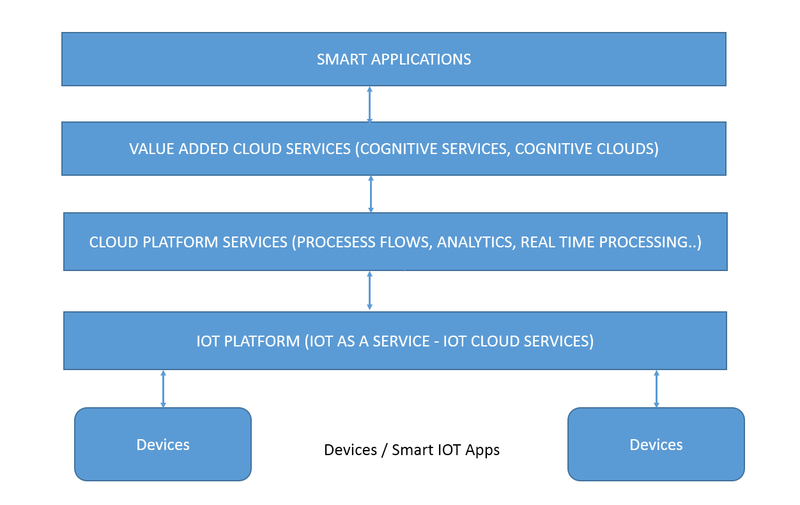 Following is a high level view on how I visualize an IOT Cognitive Systems Architecture. The real value of IOT applications is realized by enabling them as part of existing applications and higher value added services to create new innovative business solutions. Over the next few years, most of the capabilities (leaving out some of the hybrid cloud use cases) would be available as cloud services, enabling creating of smart business applications through a plug and play architecture. I evasion an ecosystem of cloud services (much like an apple or an android app/play store), where applications can be assembled from multiple providers to provide higher value solutions. PS- The above are some of my rough drafts on my upcoming book on “Advanced Computing – A Futuristic View” which covers IOT, Cognitive, Big Data, Cloud Services, Analytic and Smart Applications.